Millennium Bright Kids has regenerated a key local area at its HQ in Studley as part of the Studley in Bloom competition. Bright Kids moved into the head office at Millennium House – the former Studley Library – on Studley High Street earlier this year. And now staff and children have regenerated the surrounding area by investing in new planters and creating a community seating area which allowed Studley in Bloom to create a picturesque area as part of their bid to achieve a third Gold in the awards. Studley in Bloom is a voluntary organisation funded partly by Studley Parish Council, and partly by donations and contributions in kind. 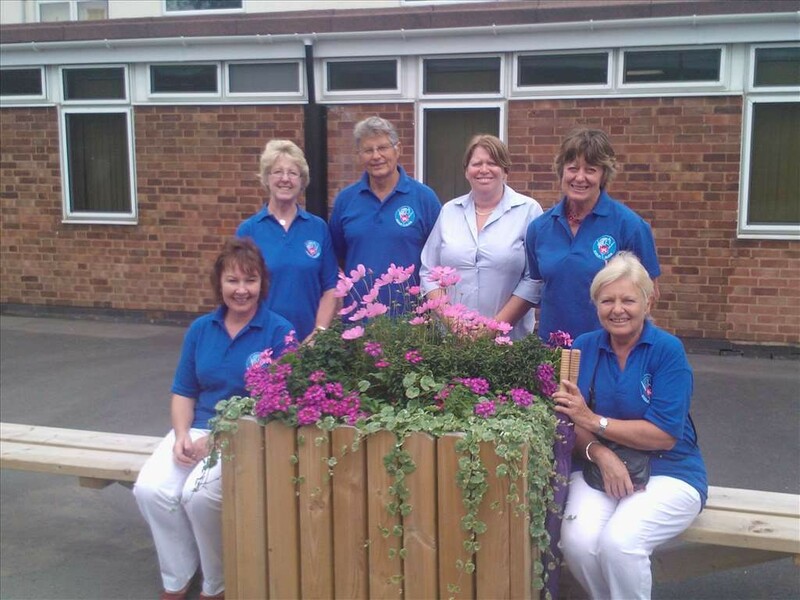 It aims to provide planters and hanging baskets at strategic sites around the village and encourage local folk, both business and residents, to keep gardens and frontages clean and well presented and create an environment of which Studley can feel proud. Pictured are (l-r): Jacky Hutchinson, Barbara Campbell, David Saunders, Tricia Wellings, Barbara Saunders and Liebthal.